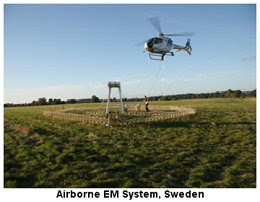 Results of work completed to date have further enhanced the targeted anomalies described in previously announced news releases (April 15 and May 12, 2009). Tumi is now ready to undertake an initial reverse circulation drill program consisting of five drill holes on four of six areas investigated. All four areas are noted for intense hematite alteration and relatively abundant quartz veining or stockworks and lie within a 2km long zone. We are excited about El Colorado's potential and in addition to now being ready to RC drill the project it is important to note that Tumi's “ongoing exploration continues to discover more zones of interest revealing the widespread nature of mineralization within our El Colorado licence”. It certainly does not hurt that the El Colorado property is located next to a historic gold producer therefore - - - Stay Tuned!! Market Club Analysis: What now for Apple? In this week’s video we are revisiting Apple, Inc (NASDAQ_AAPL). I last looked at Apple on April 9th, when it was trading at considerably lower levels than where we are right now. At that time I made some projections using MarketClub’s Fibonacci tool, as to where I thought Apple was headed. Obviously Apple has moved quite a bit and I want to revisit some of these key levels that I think may be a real challenge to this market in the very near term. It’s a short video, but I’ll go into details about levels I think could affect this market. MarketClub’s “Trade Triangle” technology has been right on the money with Apple and continues to maintain a long position from $103.60. The videos are always free to watch and there is no need to register. I would love to get your feedback about this video and your own predictions about these markets on our blog. Gata Dispatches: " Dump dollars before central banks do, bond manager Gross says "
Submitted by cpowell on 08:29AM ET Wednesday, June 3, 2009. Section: Daily Dispatches By Dakin CampbellBloomberg NewsWednesday, June 3, 2009http://www.bloomberg.com/apps/news?pid=20601087&sid=ajzmRUMx8HooNEW YORK -- Bill Gross, founder of Pacific Investment Management Co., advised holders of U.S. dollars to diversify before central banks and sovereign wealth funds ultimately do the same amid concern about surging deficits. The U.S.'s "fortune-producing capabilities seem to be declining, which might suggest that its relative standard of living is doing so as well," Gross wrote in his June investment outlook posted today on the Newport Beach, California-based firm's Web site. "If so, the implications are serious." Gross, manager of the world's biggest bond fund, said on May 21 that the U.S. will "eventually" lose its AAA credit rating after Standard & Poor's lowered its outlook on the U.K.'s AAA to "negative" from "stable" amid an escalating ratio of debt-to-gross domestic product. While U.S. marketable debt is at about 45 percent of GDP, annual deficits of 10 percent will push the amount to 100 percent within five years, a level that rating companies and markets view as a "point of no return," he said. Government spending will push the budget deficit to $1.75 trillion in the year ending Sept. 30, according to the Congressional Budget Office's forecast. The gap will be narrowed to "roughly" 3 percent of GDP from a projected 12.9 percent this year, Treasury Secretary Timothy Geithner said June 1. Federal Reserve Chairman Ben S. Bernanke said today that large U.S. budget deficits threaten financial stability and the government can’t continue indefinitely to borrow at the current rate to finance the shortfall. The U.S. growth rate "requires a government checkbook for years to come," Gross said. Coupled with Medicare and Social Security entitlements, government borrowing could reach 300 percent of GDP, meaning "the Chinese and other surplus nations cannot fund the deficit even if they were fully on board," he wrote. China, the largest U.S. creditor, with $767.9 billion of debt, has shifted purchases of Treasuries into shorter-maturity securities amid concern about unprecedented debt sales. Geithner, speaking yesterday in an interview in Beijing with Chinese state media outlets, said he has "found a lot of confidence" in the U.S. economy during his trip to China. Investors should position themselves in the front end of the yield curve as long-term Treasury yields likely move higher, steepening the so-called yield curve, Gross wrote. Gross reduced his holdings of government-related bonds in the $150 billion Total Return Fund in April for the first time since January, according to company data. In addition to Treasuries, the government debt category can include inflation-linked Treasuries, so-called agency debt, interest-rate derivatives, and bank debt backed by the FDIC. The dollar weakened beyond $1.43 against the euro yesterday for the first time in 2009 on bets record U.S. borrowing will undermine the greenback, prompting nations to consider alternatives to the world's main reserve currency. Russian President Dmitry Medvedev may discuss his proposal to create a new world currency when he meets counterparts from Brazil, India, and China this month, Natalya Timakova, a spokeswoman for the president, told reporters yesterday. Russia's proposals for the Group of 20 meeting in London in April included studying a supranational currency. 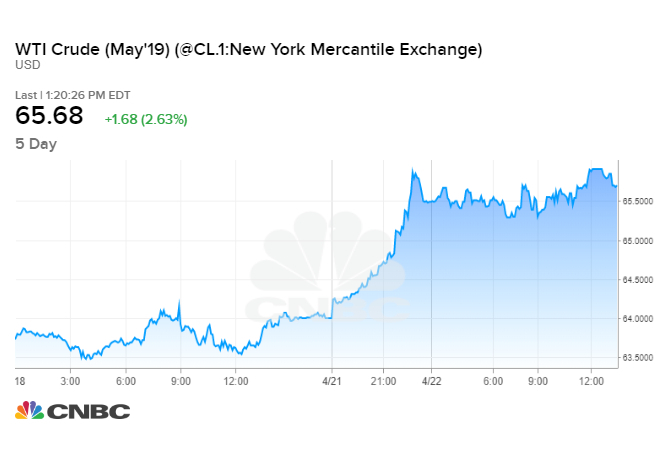 The U.S. currency climbed 0.8 percent to $1.4186 per euro at 10:13 a.m. in New York, from $1.4303 yesterday, in the biggest intraday advance since May 27. The dollar traded at 95.82 yen, compared with 95.76. The government has pledged $12.8 trillion to open credit markets and snap the longest U.S. economic slump since the 1930s. The Fed will buy as much as $1.75 trillion in Treasuries and housing-related debt to drive down consumer borrowing costs. That could have "inflationary implications," Gross said. "Our expectation is the government won't be able to exit" from those positions, Gross said in an interview on Bloomberg Radio today. The programs "will be semi-permanent positions on their balance sheets." For all the hand-wringing over the dollar's slide, expanding deficits, and declining credit ratings, the bond market shows international demand for American financial assets is as high as ever. The Federal Reserve's holdings of Treasuries on behalf of central banks and institutions from China to Norway rose by $68.8 billion, or 3.3 percent, in May, the third most on record, data compiled by Bloomberg show. The Total Return Fund rose 4.8 percent in 2008, beating 93 percent of its peers, data compiled by Bloomberg show. The fund has returned 1.5 percent this year, according to Pimco data.